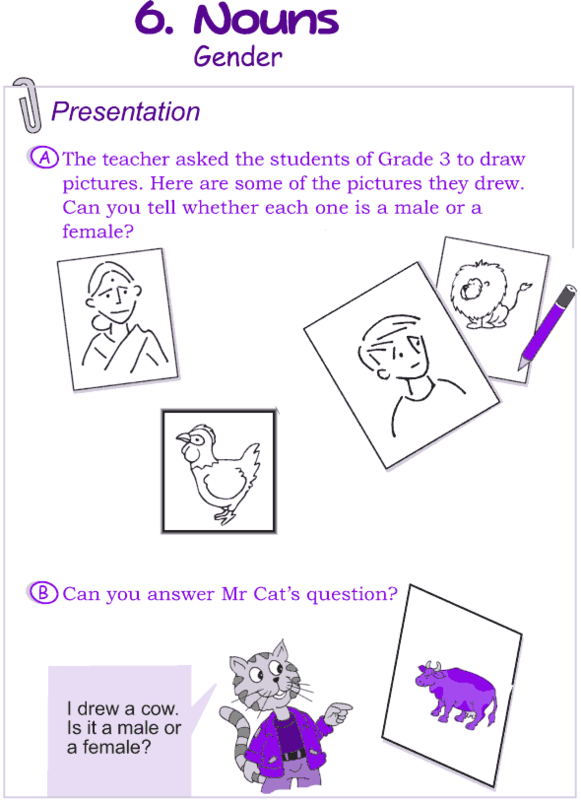 What is the masculine gender? What is the feminine gender? What is the common gender? What is the neuter gender? To what gender do non living things belong? 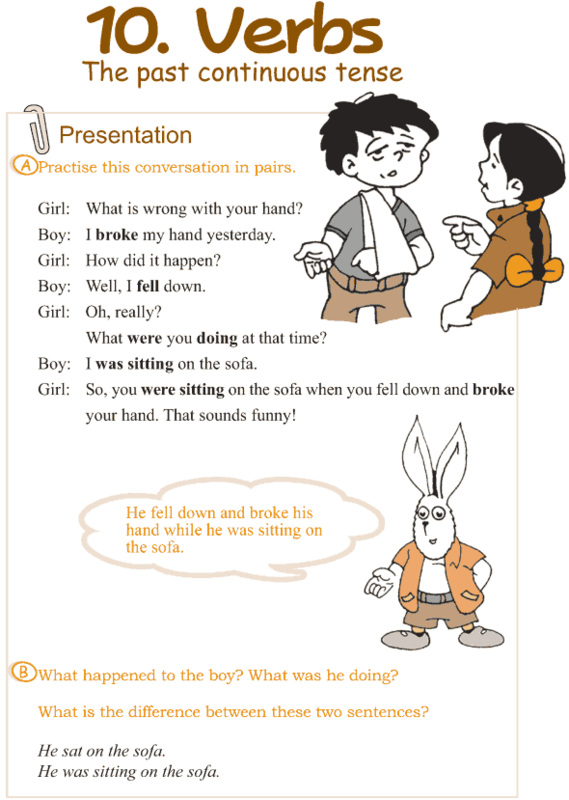 What is the difference between the simple present tense and the present continuous tense? What tense do we use when we talk about events that happen on a regular basis? What tense do we use when we want to show that we are not satisfies with something that happens repeatedly? 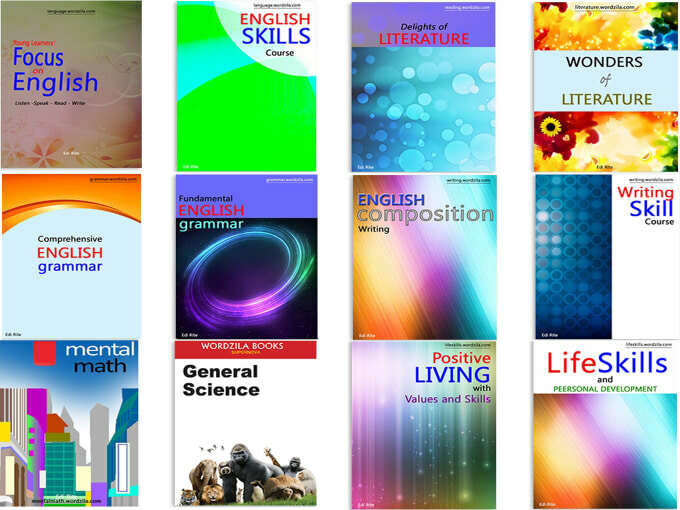 Nouns ending in consonant + y are made plural by replacing y with –ies. Some nouns have irregular plural forms. 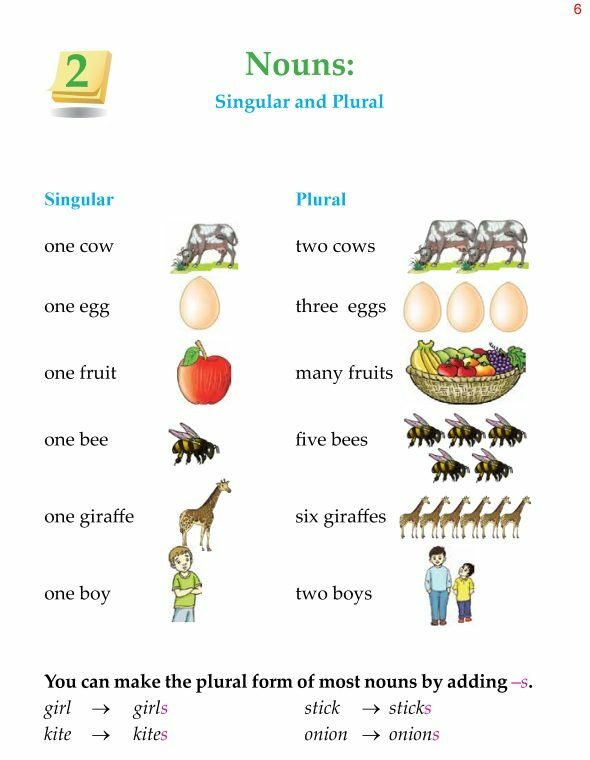 Learn all the rules of singular and plural nouns. Adjectives are describing words. An adjective tells us more about a noun. Blue, red, yellow, green and brown are adjectives of colour. 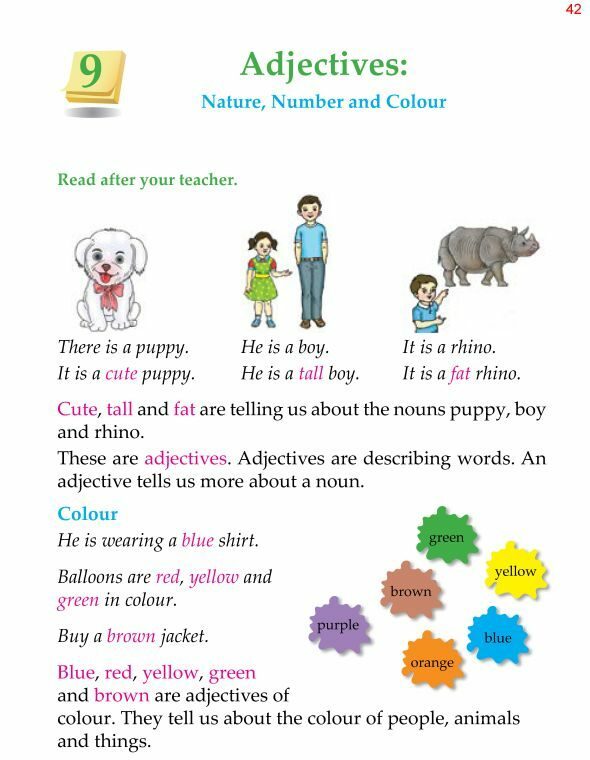 They tell us about the colour of people, animals and things. Four, five and three are adjectives of number. They tell us about the number of people, animals and things. 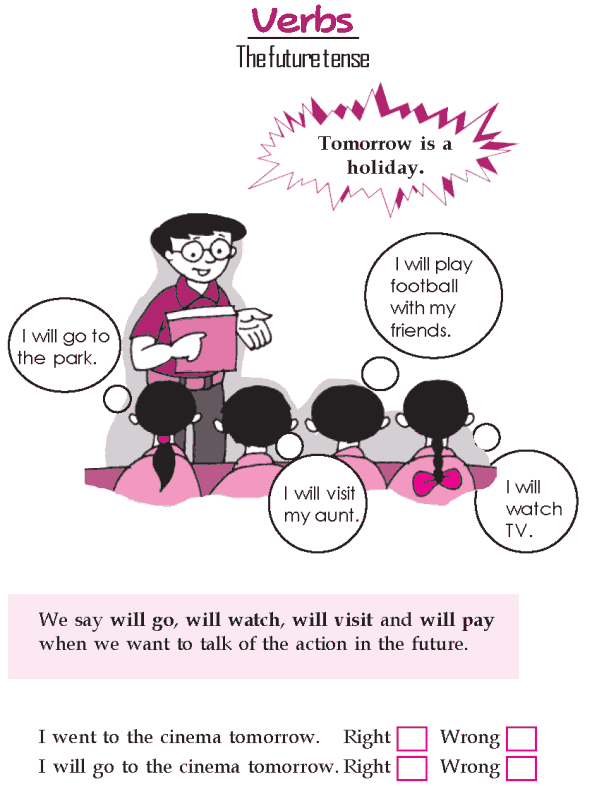 What is the structure of present perfect tense? 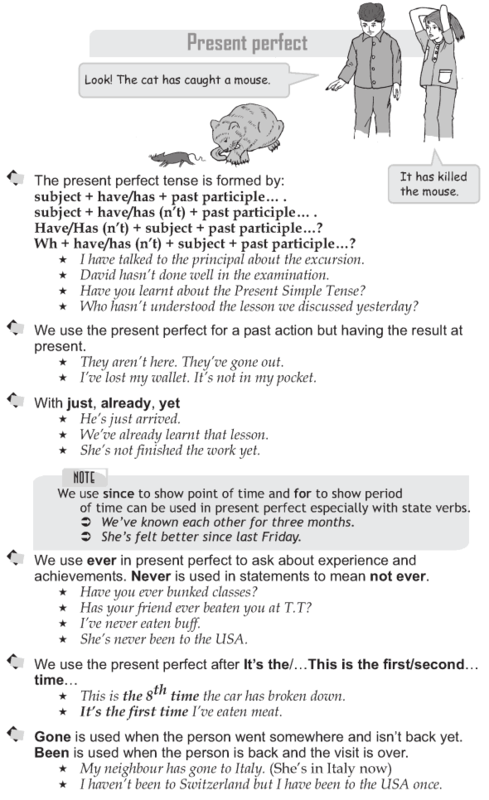 When do we use the present perfect tense? What is the difference between ‘for’ and ‘since’? What is the difference between ‘ever’ and ‘never’? What is the difference between ‘gone’ and ‘been’? 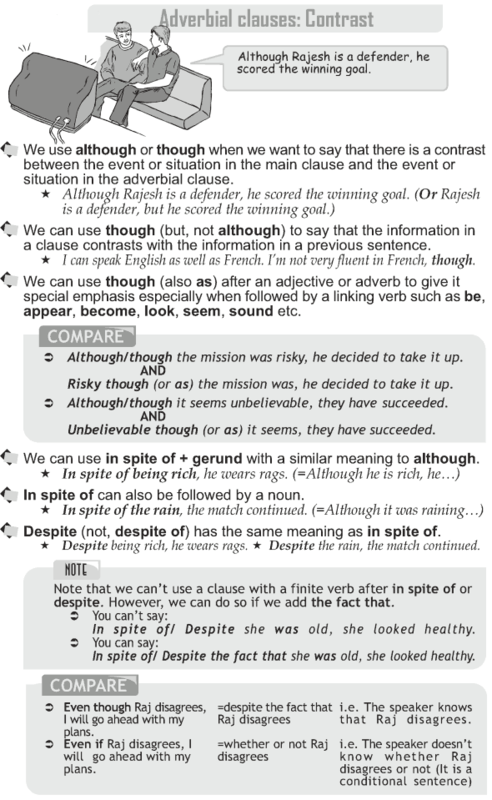 What is the difference in use of ‘though’ and ‘although’? Does ‘in spite of’ mean the same as ‘despite of’? When do we use the past tense? Do all verbs add ‘-d’ or ‘-ed’ in their past forms? When do we use the past continuous tense? 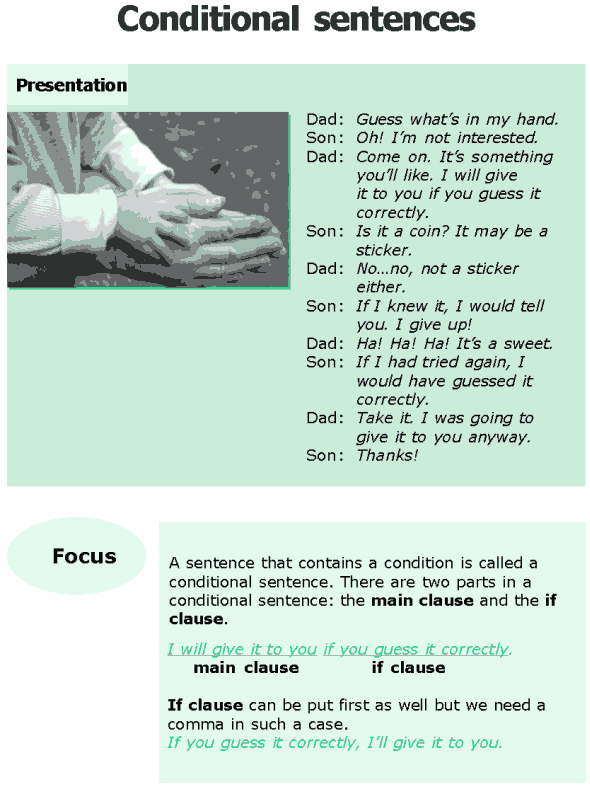 What is the structure of past continuous tense? What are modal verbs? 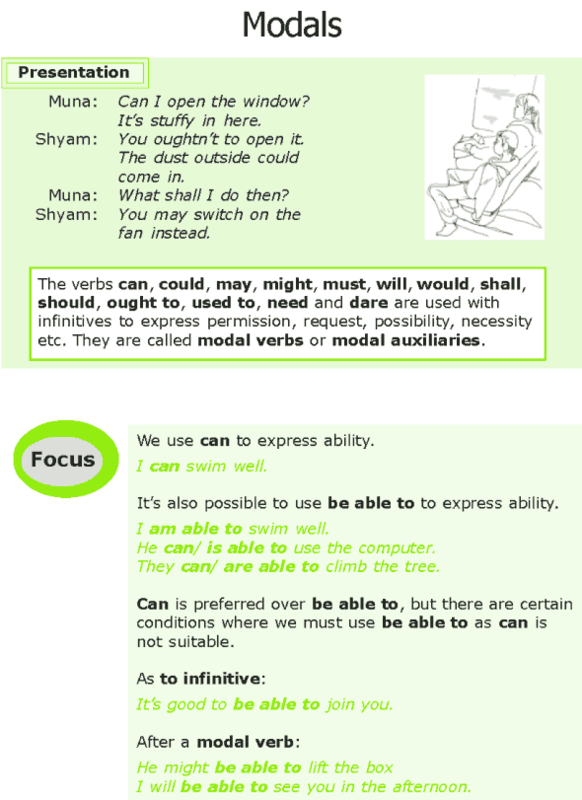 Which is more preferable: ‘can’ or ‘be able to’? Is the verb ‘could’ used to ask as well as give permission? What verbs should I use when I want to express a possibility? What verb do I use for expressing past obligations?